Luxury vinyl tile (LVT) and luxury vinyl plank (LVP), also sometimes called resilient flooring, are perfect for active families with busy lifestyles who don’t want to sacrifice beauty in the design of their homes. At Shans Carpets & Fine Flooring, we provide the Houston community with a variety of vinyl options to match every taste. What is vinyl and how is it made? LVT (luxury vinyl tile) is designed to mimic the look of natural stone or ceramic tile, with hyper-realistic colors and textures that make these tiles look and feel just like the real thing! Some of the designs that we carry from Shaw Floors are even made to be installed using real grout for another layer of authenticity. LVP (luxury vinyl plank), on the other hand serves the same function as LVT – but in the look of natural hardwood planks, instead. You’ll find these in just as wide of a variety of styles, including hand-scraped wood. LVP can be installed more easily than real hardwood, in uniform lines, staggered patterns, or even diagonal layouts for a fully customizable look! Yet another form of vinyl is sheet vinyl, which is cushioned and gets adhered directly to your subflooring in one piece. 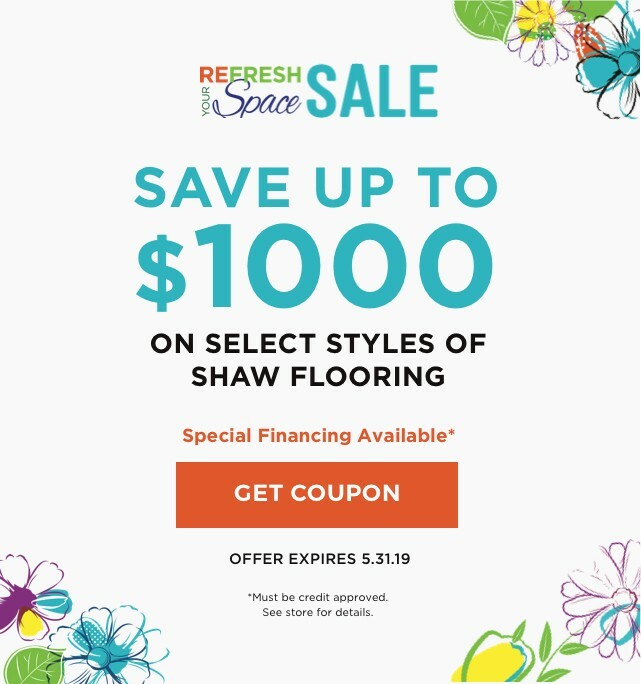 You’ll find Shaw Floors sheet vinyl designs at Shans Carpets & Fine Flooring that are as beautiful as our LVT and LVP styles, at an even more affordable cost. One thing to consider – the level of realism of LVT and LVP can’t be matched by sheet vinyl. If you have any questions about luxury vinyl, sheet vinyl, resilient flooring, or other related topics, we’re here to help! The team at Shans Carpets & Fine Flooring is always ready to serve our community in Houston, Texas, and the greater Metro area for all of its flooring needs. What is meant by resilient flooring? The term “resilient” is often used to refer to vinyl, even by flooring professionals. However, the two terms are not completely synonymous. Resilient is a catch-all term that refers to several types of flooring, including vinyl, cork, rubber and linoleum. All of these materials offer some give or bounce, which is what makes them resilient. Typically, these types of floors are durable, flexible, and inexpensive. Luxury vinyl stands apart from the rest of these products because of its additional features. One downfall of most resilient flooring is its susceptibility to denting, which luxury vinyl is engineered to resist. CHECK OUT OUR VINYL GALLERY!